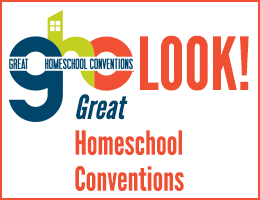 The HomeScholar, Lee Binz, specializes in helping home educators with the challenges they face with high school students, particularly with record keeping, transcripts, and college applications. Parents with students in junior high should start tuning in to this information so they are prepared in advance. Binz makes information and assistance available in a number of ways. My first introduction to The HomeScholar was through one of her Parent Training Classes, "Making the Grades." In this hour and a quarter, online presentation, Lee Binz discusses various approaches to grading students, computing a grade point average, using tests as a basis of grades (only one option among many), how traditional schools establish grades, grades derived from dual enrollment (e.g., a community college class), and other related topics. This class is a PowerPoint presentation with voiceover narration. At the end of the presentation, Lee responds to questions posted by the original attendees. The course comes with helpful extras: Sample Grading Criteria PDF, a GPA Calculator, a GPA Conversion Chart, Syllabus examples, links to two of Lee Binz's articles on related topics, and a bonus webinar on record keeping. Many other classes are available such as "Homeschool Planning: Your Goals This School Year," "Planning High School Courses," "Getting the Most of Your Homeschool This Summer," "Finding a College," "Delight-Directed Learning," "Getting the Big Scholarships," and "Real Fast College Applications." Also check out the free webinars available on the HomeScholar freebies page. In her book, The HomeScholar Guide to College Admissions and Scholarships, Lee Binz provides very practical information on the entire process from preparation during the high school years, through the search and application process, and applying for scholarships. The book is written for Christian families and includes Scripture verses and discussion of issues of particular concern to them. In addition to the core topics, Binz adds another section to cover subjects often ignored by other college prep books. In the "Facing Reality" section, ten chapters address these issues. She begins with information about cutting costs by testing for college credit. Then there's a chapter that discusses perceptions about the GED since this is particularly important in situations where homeschoolers use the GED to show high school equivalency rather than or in addition to a traditional diploma. Homeschoolers sometimes overcompensate by trying to over-prepare their teens for college. So Binz cautions parents against overworking their students because of their own concerns or fears. She also tackles the very fundamental question of whether or not Christians should even go to college. She comes down strongly on the affirmative side, recommending Christian colleges as a safer choice. 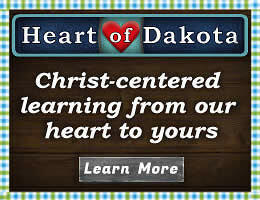 However, she says that if parents prepare teens well spiritually, they should be able to attend non-Christian colleges. She also broadens to topics that concern many parents of students, homeschooling or not, as they prepare for college: the pros and cons of a gap year experience, college for struggling learners, and restarting after the first year goes wrong. She also brings up some of the challenges teens present with motivational and attitude issues as well as depression and addictions. Useful resources at the back of the book include reproducible charts for planning the high school course of study, a form for keeping track of research to compare costs for different colleges, and an application checklist. This section concludes with an annotated recommended reading list and suggestions for extra-curricular activities that look good on a college application. The HomeScholar Silver Training Club offers do-it-yourself training users videos, checklists, templates, and tools on a dedicated website. With content that is continually updated, parents can access just what they need when they need it for a monthly subscription fee. The HomeScholar Gold Care Club adds to the Silver Training Club a 20-minute weekly consultation with Binz by phone or email. Parents can use the consultation for questions, document review, or personal encouragement. 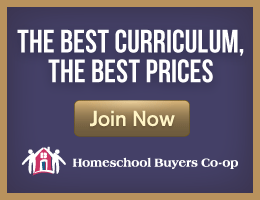 The HomeScholar College Launch Solution is an online guidance counselor resource to help parents become the best college coach for their teen at a fraction of the price of hiring a professional coach. With over 60 hours of classes, it helps parents and teens navigate the challenging college admission process to help them earn the best possible scholarships. Monthly coaching adds accountability emails with assignments to keep parents on track.